In an earlier article I wrote on refilling/checking the Oil Level in your DB9 (read it here) I brought up the issue about the length of your dipstick. The deal here is that early model year Aston Martin DB9’s may suffer oil starvation under certain conditions [because 11 liters wasn’t enough?]. Its never been clearly explained anywhere I’ve found, but it is a real deal since Aston Martin released Field Service Action FSA 165V2 essentially recalling the original dipsticks and replacing them with shorter ones. The result of this would be that you would need to add about one additional liter of oil to reach the new ‘max’ line, and thus have an extra liter safety margin. 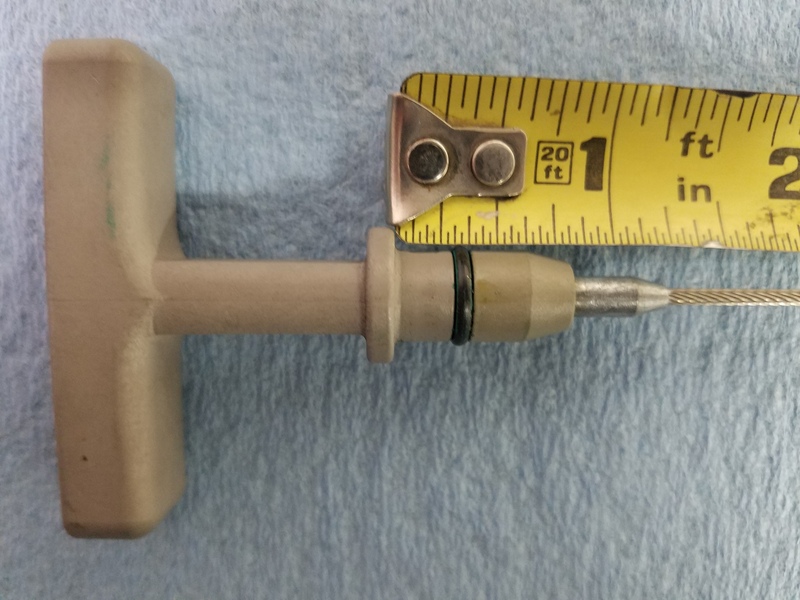 If you are looking at the P/N on your dipstick to see if it’s the correct one – the FSA says the corrected part is 4G4E-6750-AC. You can check this by simply removing your dipstick, wiping it off, and inspecting the part number on the back of the measuring end. A quick Google of that part number returned a couple of interesting things. He was not alone, and others on the AMOC forums were discussing the same issue without a satisfying resolution (read about it here). This seems to rule out the random odd dipstick theory. That part number turned up online as the dipstick for the V12 Vantage engine (check it out here). I would surmise that Aston used the same dipstick in most V12 iterations at the time. Indeed, the V12 Vantage was born in 2009, the same time as Cor’s DB9. For those of you so inclined, I figured using an empirical measurement might be the best way to allay the concerns. To that end, here is a simple way to see if you measure up. I removed and cleaned my dipstick, and laid it out on a paper towel next to a tape measure. I placed the end of the tape measure under the shoulder of the dipstick, and then held it out straight and measured the length. My Aston Martin part number 4G4E-6750-AC dipstick overall length was exactly 27.75 inches (705 mm). The ‘Min’ line was at 26.75″ (679.5 mm) and the ‘Max’ line was 26.375″ (670 mm). Hopefully that gives you the answer you needed. 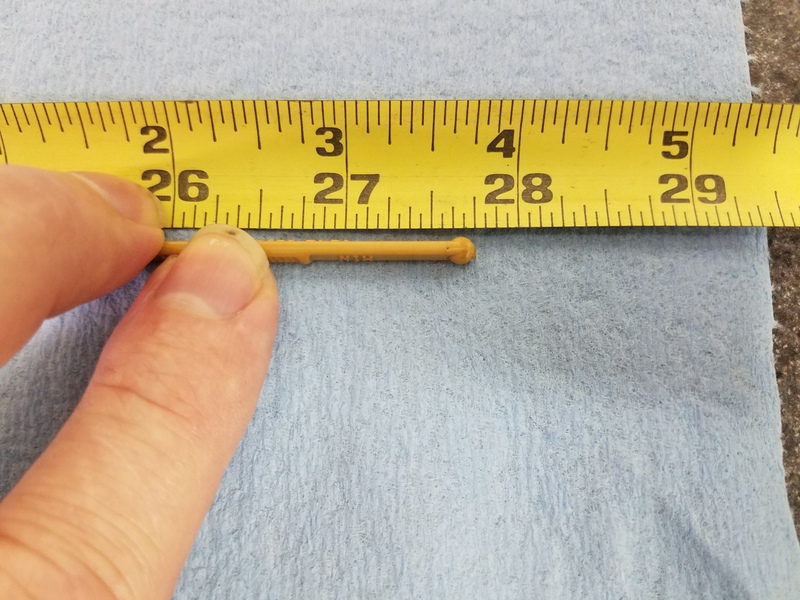 Let me know if you have an early model car with the original dipstick and what length it was, and I will add it (and a picture if you send one) to this article to flush it out. Hi Steve, re the “length of your dipstick”!!! For the record and to answer your question, my vin # is indeed out of range of the numbers listed in the FSA as my car was built after the FSA release date. As you correctly noted, my dip stick part number is different and as per AM in England, I do have the correct unit in my 2009 DB9. However I was curious today after reading your update, so have just checked the length of my dip stick and have a different value. 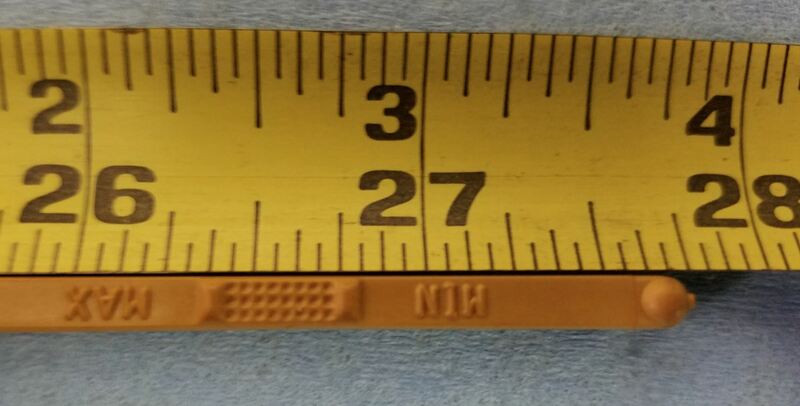 My dip stick measured, as shown in your photographs, at 28.250″ shoulder to end of tip and 26.875 shoulder to the max line, 27.250 to the min line. I guess the min/max lines are really the most important measurements at this point. The confusion goes on. Thanks Cor. I see the Min line is at 26.75″ in my photo, so both are probably right, but for the specific year. It’s very possible the dipstick tubes are different heights (deliberately). So, I will update the article with your info for the 09 with that part number as being ‘correct’ and I will augment my numbers to show the length to the Max and Min fill lines. Thanks for helping! OK final update on this, I put in 12 quartz of Amsoil European Car Formula, 0-40 full synthetic which equates to 11.35624L with 11 liters required (with new oil filter) per my owners manual for my 2009 DB9, yes it’s a little overfull. So your’e correct Steve, they must have changed the length of the dipstick tube after the FSA. I feel pretty confident that we’ve got this issue sorted as the Brits would say. I have updated the Length of Dipstick article with your measurements, and I added mine to the Min and Max lines as well. Yours is 1/2″ different in all respects, so I’m sure they modified the dipstick tube as part of the engines evolution. Good data, thanks for sharing.